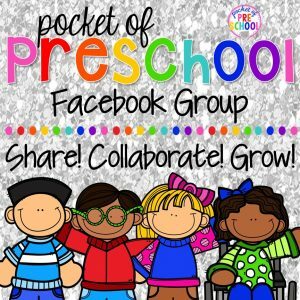 Teaching names is one of the most powerful ways to teach letters and sounds to preschool, pre-k and kindergarten kiddos. 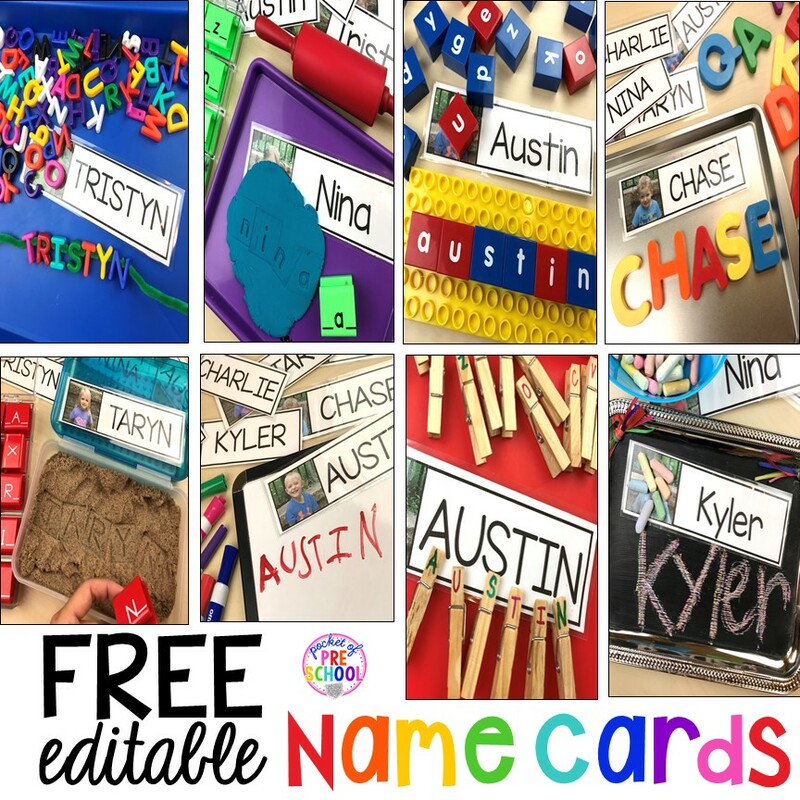 The activities you can do with name cards are endless! 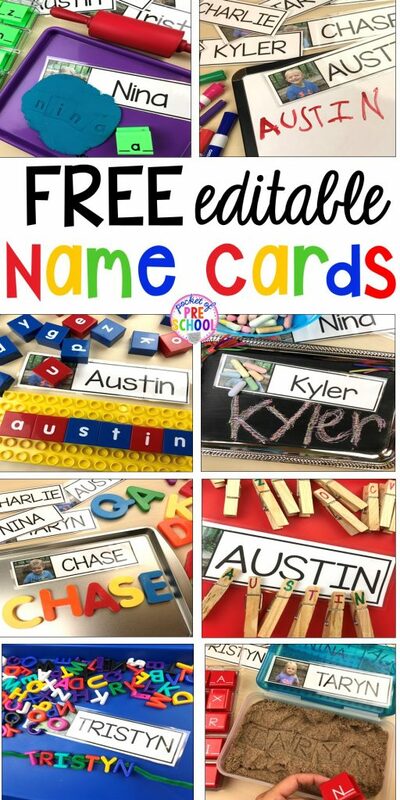 Name card activities are great for arrival activities, table time, in centers, for small group or around the classroom. All of these activities discussed in this post can also be used with vocabulary cards! In each one of my center packs, you will find vocabulary cards! Check them out HERE. I teach a multi-age classroom with three-, four- and five-year-olds. In the fall, we focus on uppercase letters so we use name cards with their names in uppercase. 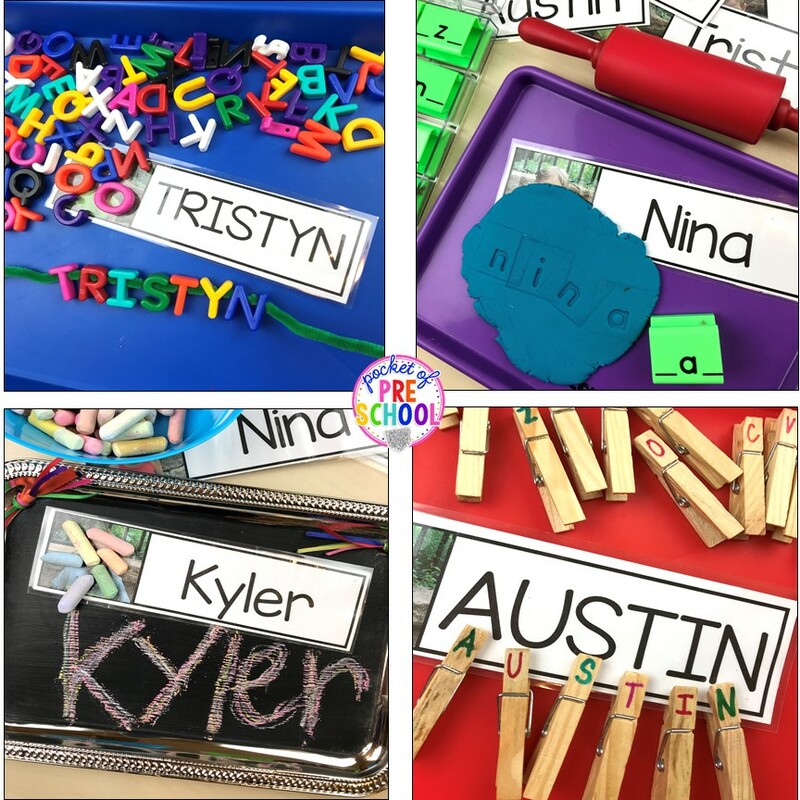 Then in January, I transition my pre-k friends to lowercase by using names cards with their names in lowercase letters. I make the name cards double sided so I don’t have to name new sets of name cards in January. One side has their name in lowercase letters and the other side has their name in uppercase letters! In the photos above, you can see the variety of hands-on ways you can teach names! when doing name crafts (click here for the sun name craftivity). when playing name games or activities. put the name cards in a pocket chart at the writing table. place names in a bucket at circle or center. Use the cards when picking or selecting students for activities or transitions. use during journal or writing time. place names on a ring to use around the classroom. I always have a set in the art center for students to use for visual support when writing their names on their artwork. Here are a few more suggestions. The options are endless when teaching and reinforcing names with your students. 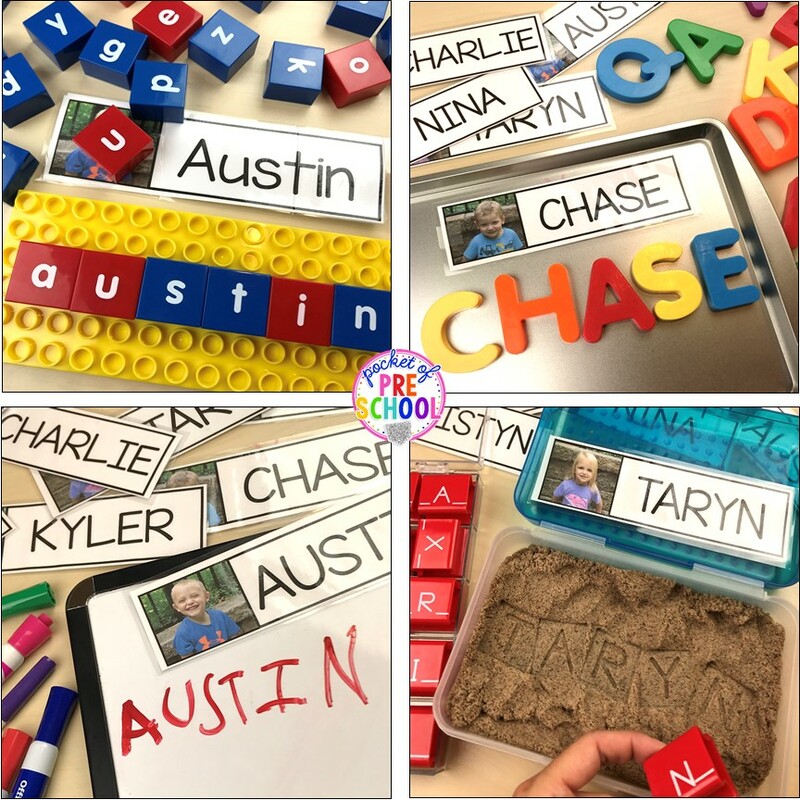 Build the names with letter manipulatives. Stamp the names in play dough. Write the names on chalkboards. Clip the names with clothespin letters. 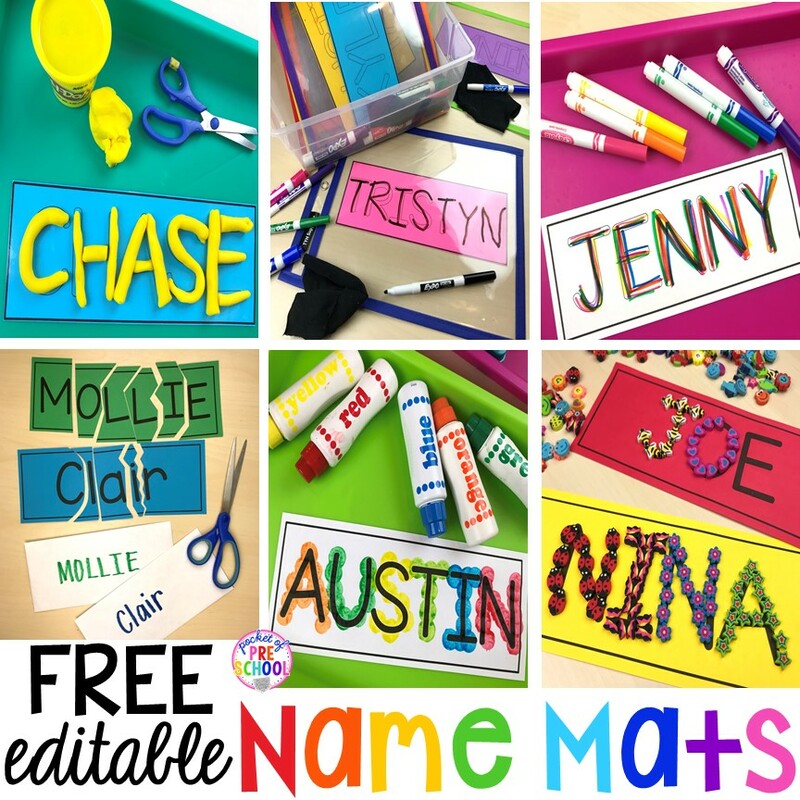 Now that your brain is full of fun name activities, go check out the post all about using Name Mats in the classroom (the name mats are a freebie too)! 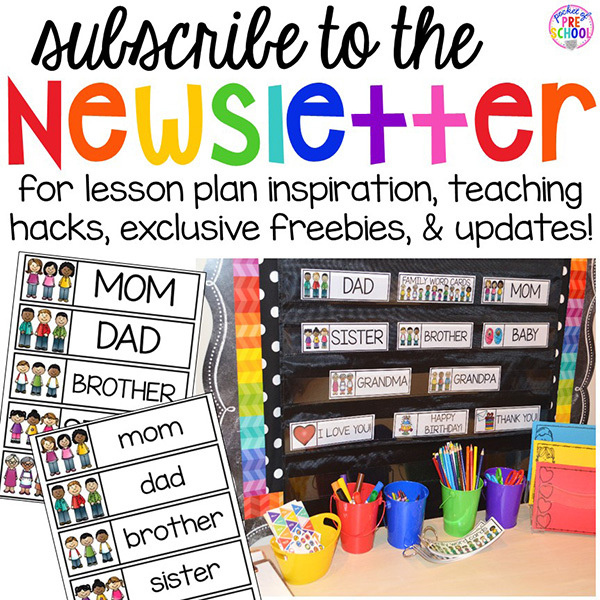 Hop over to TPT HERE or click the photo below to grab a FREE set of editable name cards. LOVE these name cards? Pin this image!